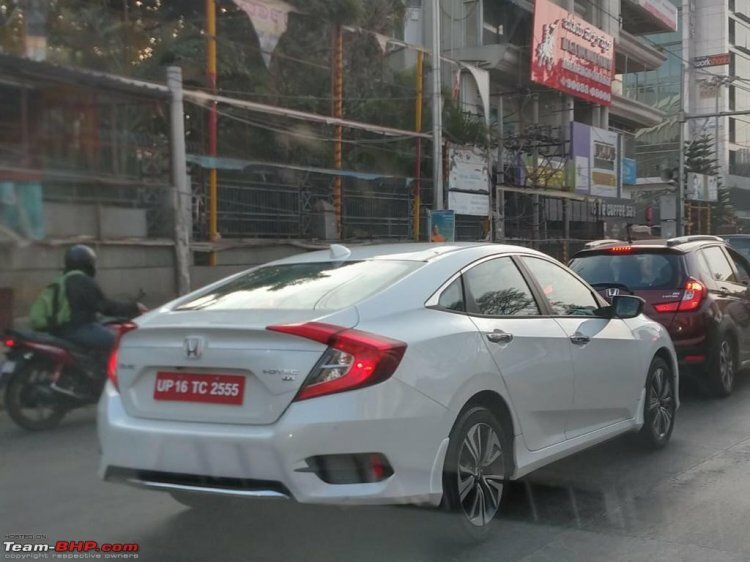 A white 2019 Honda Civic was spotted without any camouflage on the Bangalore airport road last week. In the latest, images of that and a red-coloured test mule, both in the range-topping 'ZX' grade, have surfaced online. The 2019 Honda Civic will compete with the Skoda Octavia, Toyota Corolla Altis and Hyundai Elantra in India. Honda’s best-selling model globally, sold in 170 countries, is set to make a comeback in India after a skip of a generation, or to be even more precise, a generation and a half. Introduced in 2015, the tenth generation Civic is already halfway through its lifecycle, and it had received a facelift late last year. Better late than never, it’s finally reaching our shores, and it’s coming prepared this time, with an option for a diesel engine. Honda will offer the 2019 Civic in India with a 1.8-litre i-VTEC naturally aspirated petrol likely producing 141 PS and 174 Nm of torque and a 1.6-litre i-DTEC single-turbo diesel engine rated at 120 PS and 300 Nm. The petrol engine generally comes paired with a CVT in key markets, but here, reports say, customers will have a low-cost 6-speed manual transmission option. The diesel engine is available with 6-speed manual and 9-speed automatic transmission choices internationally, but the company has ruled out the latter for our market because it’s very costly. The 2019 Honda Civic would feature LED headlights with LED DRL, LED front fog lights, 17-inch alloy wheels, LED tail lights, dual-zone automatic climate control, 8-way (driver)/4-way (passenger) power front seats, 7-inch Display Audio touchscreen infotainment system with Apple CarPlay and Android Auto, electric parking brake, six airbags and Vehicle Stability Assist. India is likely to import the 2019 Civic in CKD kits from the Ayutthaya plant (Thailand), with the assembly taking place at the Greater Noida plant. 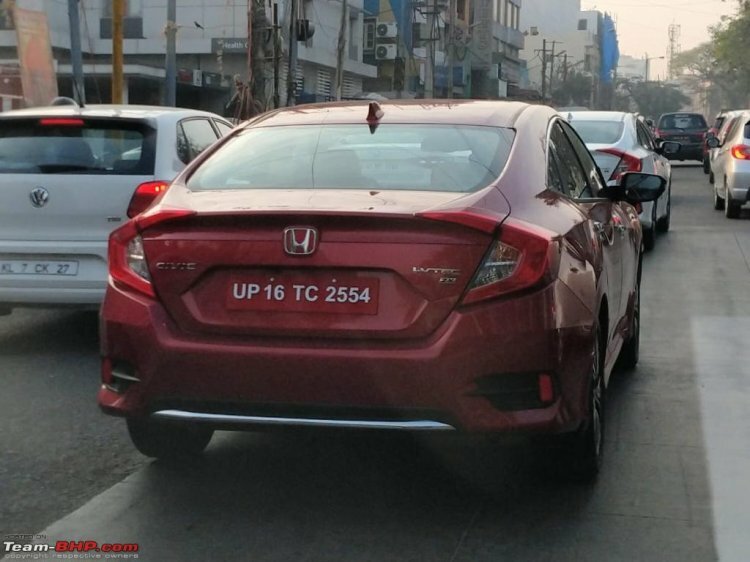 Reports say that the 2019 Honda Civic will cost around INR 18-22 lakh in India. The new sedan will compete with the Skoda Octavia, Hyundai Elantra and Toyota Corolla Altis here. Its launch will take place on the 8th of next month.